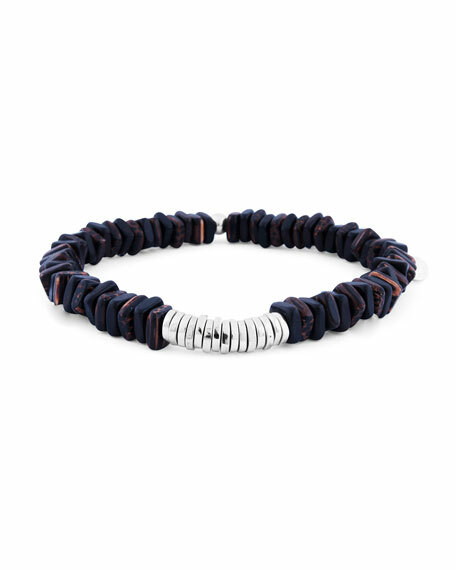 Tateossian men's bracelet featuring irregularly shaped disc beads. Ebony wood and sterling silver. For in-store inquiries, use sku #2238007.